Looking for a the perfect christening gift? Your baby is definitely ready to start using her own spoon? Well, ditch the toys, bracelets and most importantly, the plastic: children deserve the best start in life and some proper stainless steel, specifically designed cutlery is just the perfect gift. 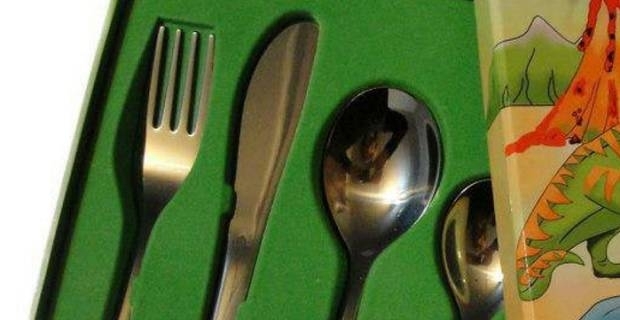 Find out more about some of the nicest children's cutlery sets in the UK. We've looked at options at various end of the children's cutlery sets UK market, but always with quality and sustainability in mind. Why not take a look, then find your own favourite set using our links as starting points.